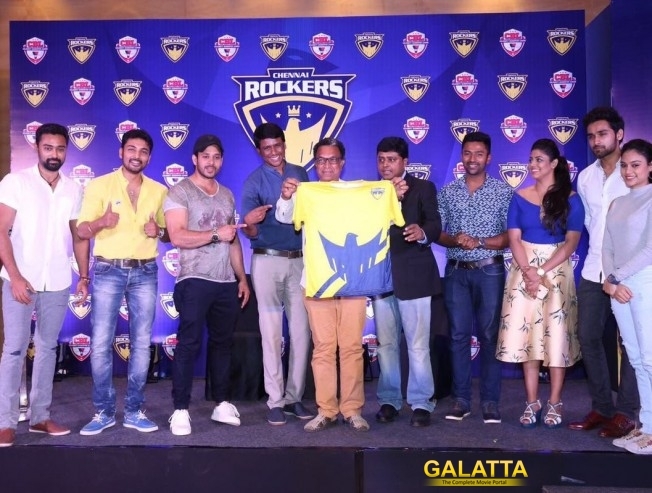 Chennai Rockers, the Tamil Nadu franchisee of Celebrity Badminton League 2016, has announced its team and brand ambassadors for the first season. The team is owned by C.R. Venkatesh, best known as CRV, who is the Managing Director & Chief Executive Officer (CEO) of Dot Com Infoway one of India’s premier IT services company and three other companies namely Adatha, GMASA and Galatta Media. “This confederacy focuses to provide an innovative, entertaining and supreme-quality league. It also provides a platform for celebrities to exhibit their badminton competency and to deliver ethical integrity for the fans, partners and professional players. Our social intention is to identify and promote aspirants to become professional players. As part of the initiative, we also plan to select a few badminton players from local colleges and give them national exposure in terms of training and mentoring,” said Venkatesh. The Celebrity Badminton League (CBL) is bringing together the entire South Indian film industry in its very first season, and has all indications of becoming a national league by the next edition. The finals will be held in Kuala Lumpur and given the popularity of Southern cinema there, CBL is sure to witness large number of fans cheering their favorite stars. The matches will be hosted at Chennai, Cochin, Hyderabad and Karnataka and the finals will be held in Kuala Lumpur, Malaysia.